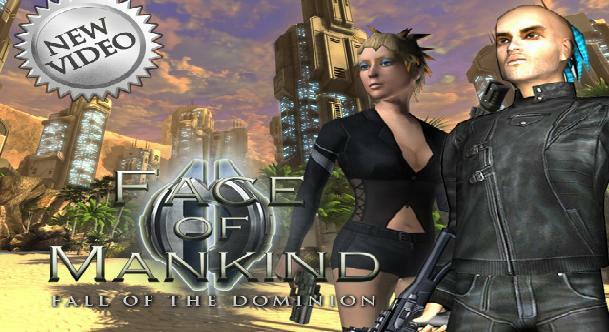 Nexeon Technologies released their Kickstarter funding project for Face of Mankind: Fall of the Dominion on May 7th and with just over 24 hours to go, they’ve reached their goal. Face of Mankind is already an established sandbox MMO game but due to its complex mechanics and complete player freedom approach, it struggled to appeal to a huge audience. They launched the Kickstarter funding project with the hopes of achieving a $50,000 funding goal, although they made it clear they were hoping to achieve far higher. As with all Kickstarter projects backers were promised dozens of unique incentives including the ability to work alongside the developers to create their own in-game character. Other incentives include exclusive in-game titles and avatars, access to the developer forums and even a paintball and dinner party, although that particular pledge hasn’t met any support yet. Face of Mankind: Fall of the Dominion hopes to build on the core features and mechanics of the original title but with more depth to each and every feature. Whether the new facelift will be enough to appeal to a wider audience is yet to be seen but you cannot help admire the developers for their willingness to take a risk. For more information or to pledge your support, visit the Kickstarter page.